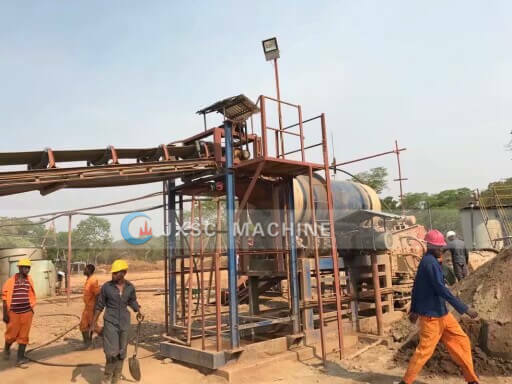 Extraction of tin process: JXSC Mine Machinery factory built a complete 10TPH Hard Rock Tin Processing Plants for one of our Zambia client. The tin ore mining process flow is Crushing –> Screening –> Grinding –> Concentration. 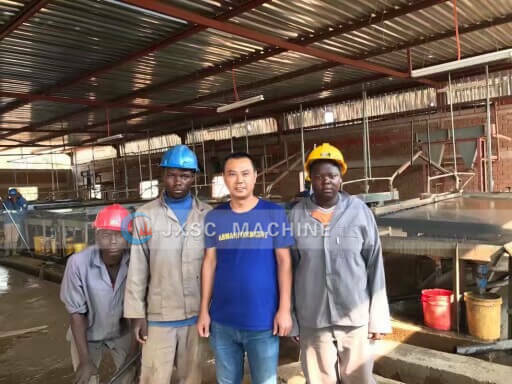 The whole tin extraction plant consist of 1 set vibrating grizzly feeder, 1 set swing feeder, 1 set Jaw crusher, 1 set fine Jaw crusher, 1 set Vibrating sieve, 1 set Ball mill, 1 set Spiral Classifier, 4 sets Conveyor belt, 2 sets slurry pump, 1 set Water pump, 16 sets spiral concentrator, 24 sets Shaker tables, also include water pipes, interconnecting part for machines, electric cabinets and other supporting accessories. 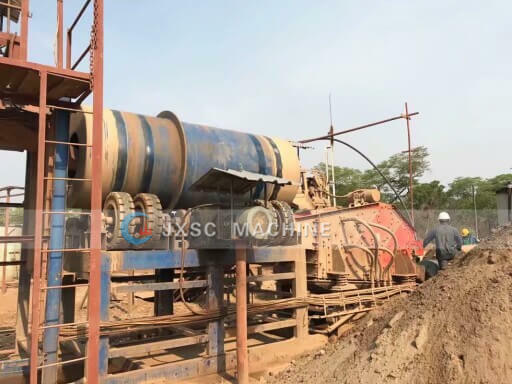 Firstly, the rock gold-bearing ore be crushed by Coarse jaw crusher, then feed to Fine jaw crusher, fine crusher is the second section as fine crushing process, after this step, the output will feed to vibrating screen separate out bigger particles and smaller particles, big particles (+25mm) return back to Cone crusher for re-crushing, 0-25mm particles go to ball mill to grind super fine size(0.074-0.4mm). after grinding, the concentration equipment we used is Shaking Tables, total quantity is 24 sets which divide into two groups, 16 sets for 1st group, 8sets for 2nd group for re-concentration. 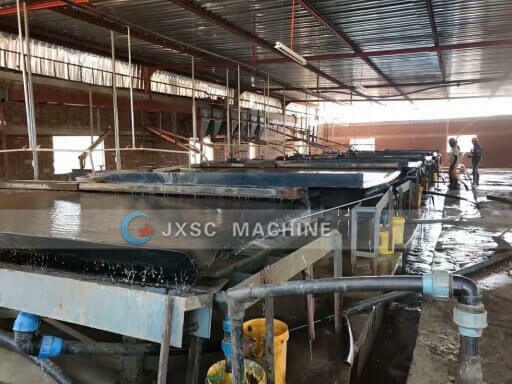 JXSC mining equipment suppliers with more than 30 years experiences, Shaking Table is one of our flagship mining equipment. 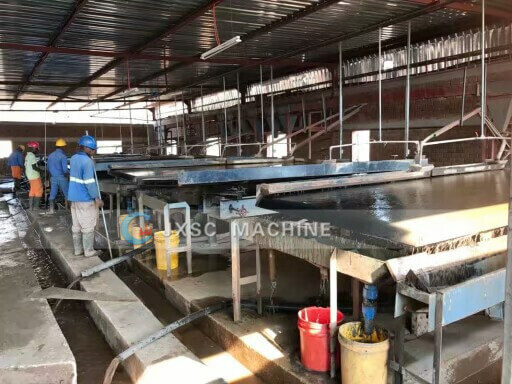 It enjoys a very high, up to 95% high recovery rate which widely used to concentrate tin and other heavy minerals. 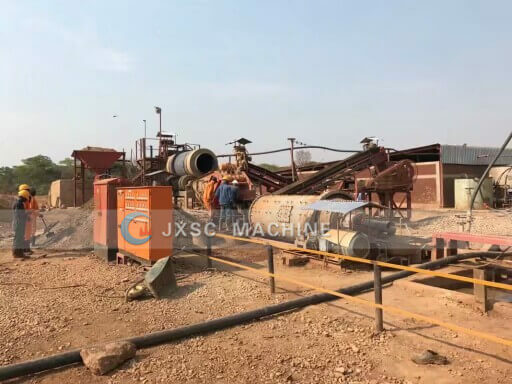 JXSC mining equipment suit for extraction of tin, our tin mining machine are common to see in the tin ore processing plant, won a good name among the tin mining companies and the tin mining industry.